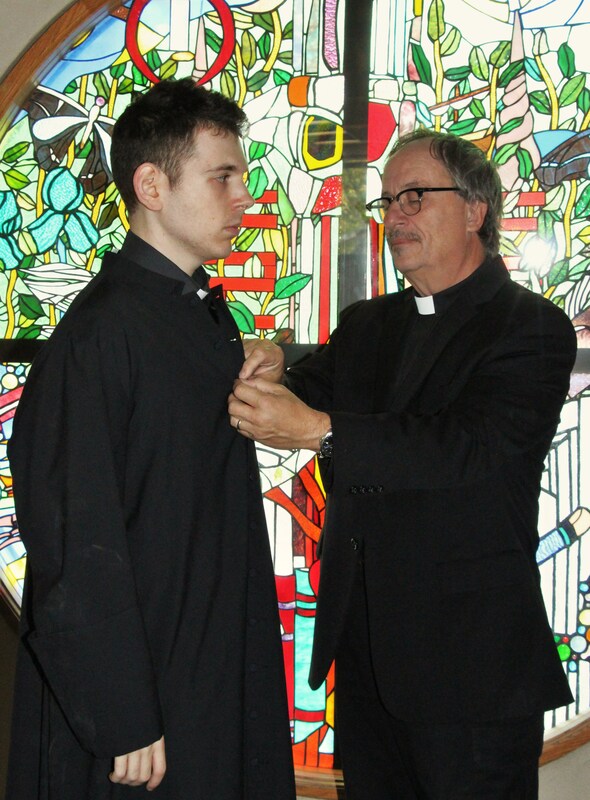 Square One Theatre’s 2015-16 season begins early next month with Bill C. Davis’ Mass Appeal. It’s Davis’ biggest hit, a small-theater staple that had a Broadway run in 1982 and was made into a 1984 film starring Jack Lemmon. It’s about the pastor of a Catholic church in a wealthy suburb whose views (and social customs, and drinking habits) are challenged by a hotheaded young priest with more progressive views. Square One has made a Mass Appeal before, in the company’s second season back in 1992. The new production stars Frank Smith (veteran of a dozen previous Square One shows) and Darius James Copland (who was in the company’s production of David Lindsay-Abaire’s Good People this past spring). The Square One season continues March 23-20, 2016, with the recent regional theater hit The Outgoing Tide by Bruce Graham. It’s a drama about getting old and getting along with your family and finding seafaring metaphors for things. The third and final show of the Square One season will be Motherhood Out Loud, the female monologue revue featuring writings by Leslie Ayvazian, Jessica Goldberg, Beth Henley, Lameece Issaq, Claire LaZebnik, Lisa Loomer, Michele Lowe, Marco Pennette, Theresa Rebeck, Luanne Rice, Annie Weisman, Cheryl L. West and Brooke Berman and lone male contributor David Cale. Square One’s had good luck with monologue shows in the past. I recall the company’s carefully enunciated production of Alan Bennett’s Talking Heads back in 2005. Square One, which is run by Tom Holehan (artistic director) and Richard Pheneger (managing director), has new digs, an intimate black-box space at Stratford Academy, 719 Birdseye St. in Stratford. Season subscription info and more at (203) 375-8778 and http://squareonetheatre.com.